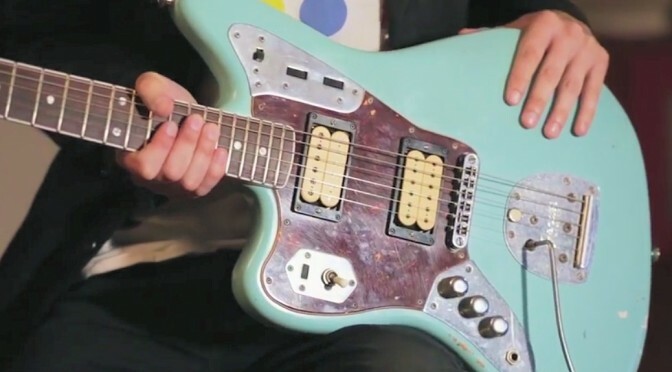 More info on the Fender Kurt Cobain Jaguar coming out recently since our original post about the new guitar. 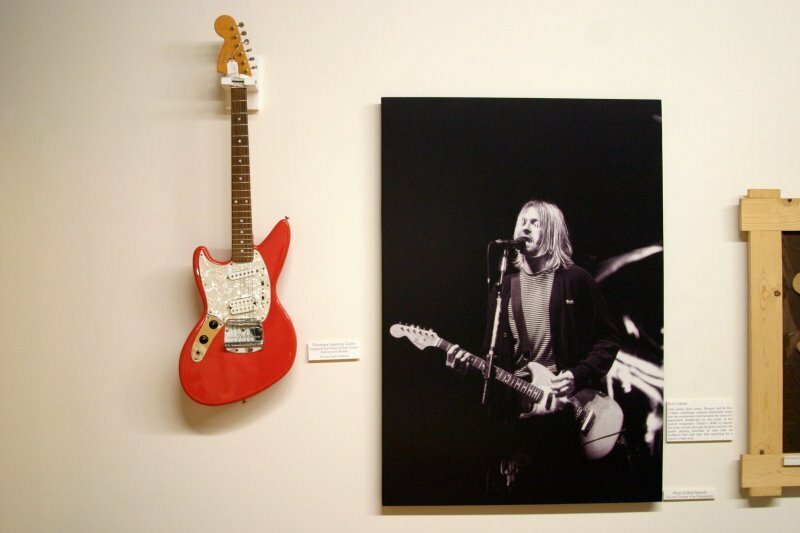 If you’re a big Nirvana fan you likely already know how great their 1992 Reading Festival performance was and probably have your own bootleg of it. 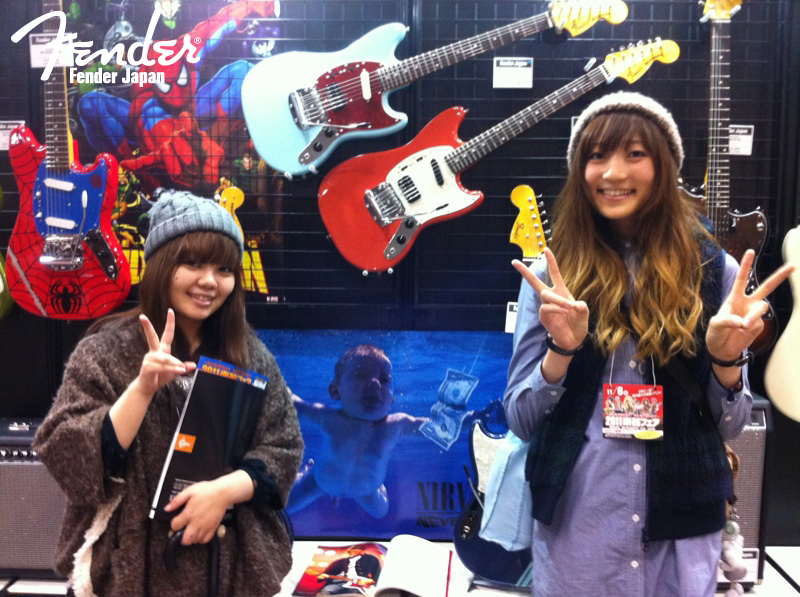 Now, on the 20th anniversary of the Bleach album release, you can not only pickup up the remastered Bleach album but a “Live at Reading” album on CD/DVD/Vinyl. 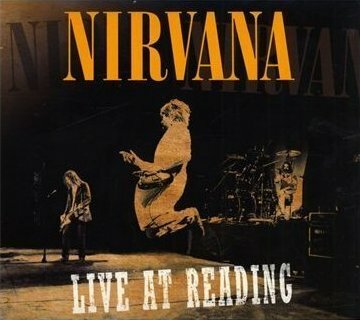 It’s a fantastic live album that you should have in your collection if you don’t already. 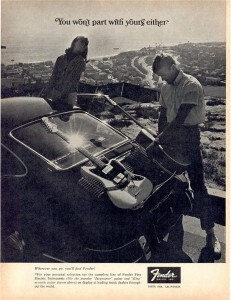 Check out a review at snobmusic. 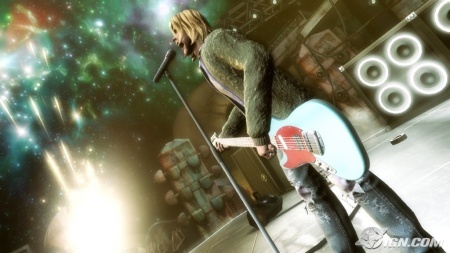 Via multiple gaming news sites comes news of Kurt Cobain in Guitar Hero 5. (ign and evil avatar) The tracks in the game are Smells Like Teen Spirit and Lithium. Looks like they have Cobain playing the humbuck-ified Fender Mustang in the game. 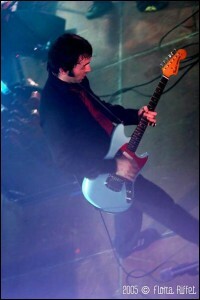 See the photo and video below for a look at the virtual guitar and the lithium track as played in game. 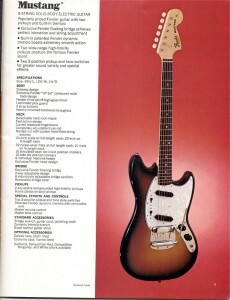 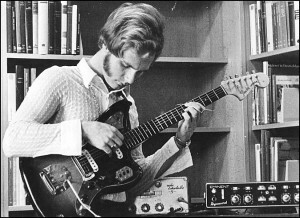 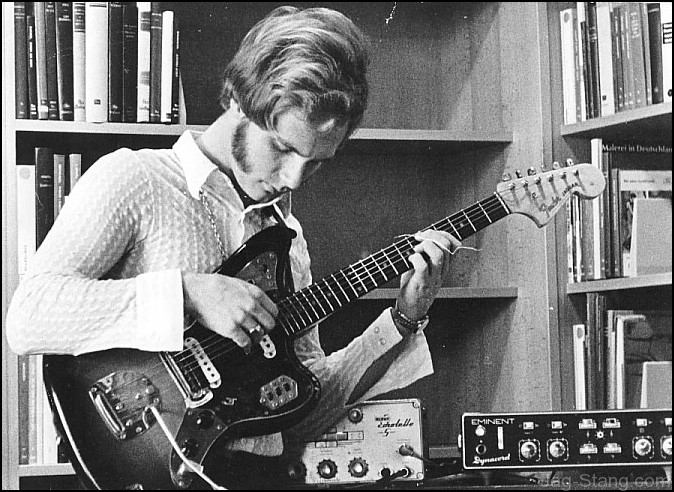 It’s been well known that there were 2 original prototype jag-stangs made by Fender at the time Kurt Cobain died. 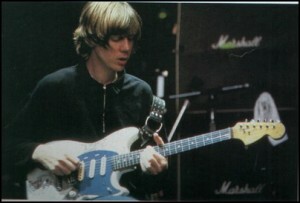 There was a sonic blue prototype that was played by Kurt on a few European tour dates. 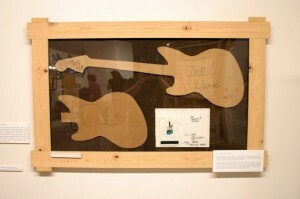 (see video in previous post) It was given to Peter Buck of REM after Cobain died. 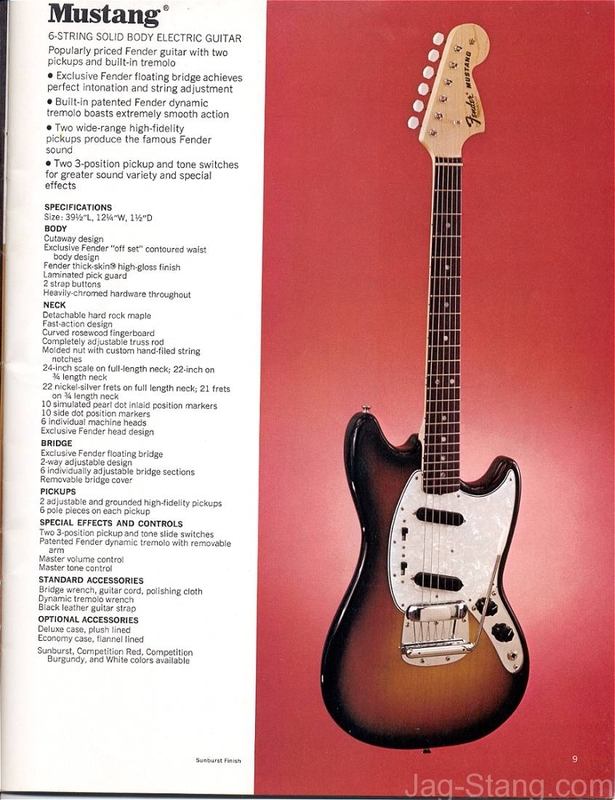 You can see Buck playing the lefty jag-stang flipped righty in the REM video “what´s the frequency kenneth”. 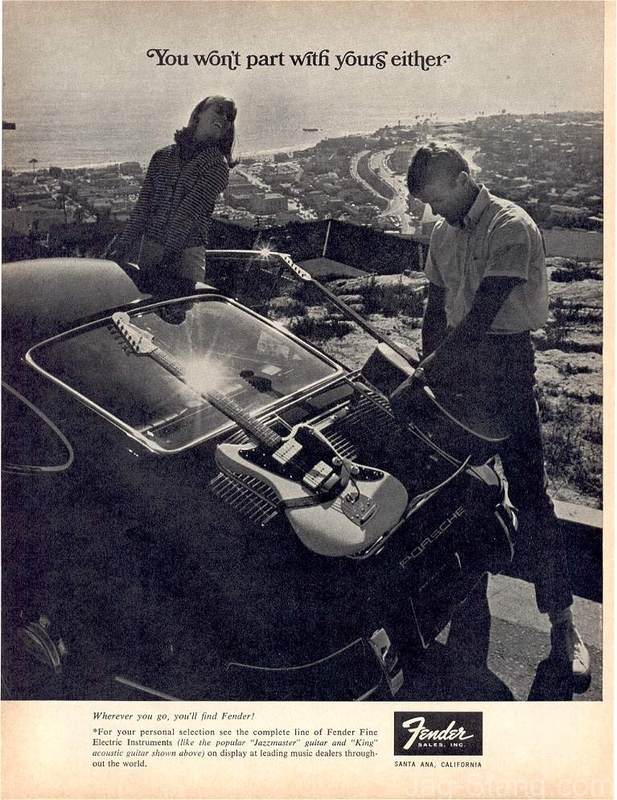 Does anyone know where the blue jag-stang is today? These photos are from Fender’s Museum in California from a few years back. It is my understanding that this is now currently on display either in Seattle or Cleveland. 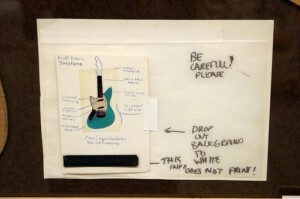 On Kurt’s drawing the surrounding information you see is for when it was scanned for “Journals”. The “blacked out” area is contact information for Kurt and his guitar tech which was to not be printed in “Journals”. If you have any more info on the current locations of the fiesta red or sonic blue prototype jag-stangs let us know. 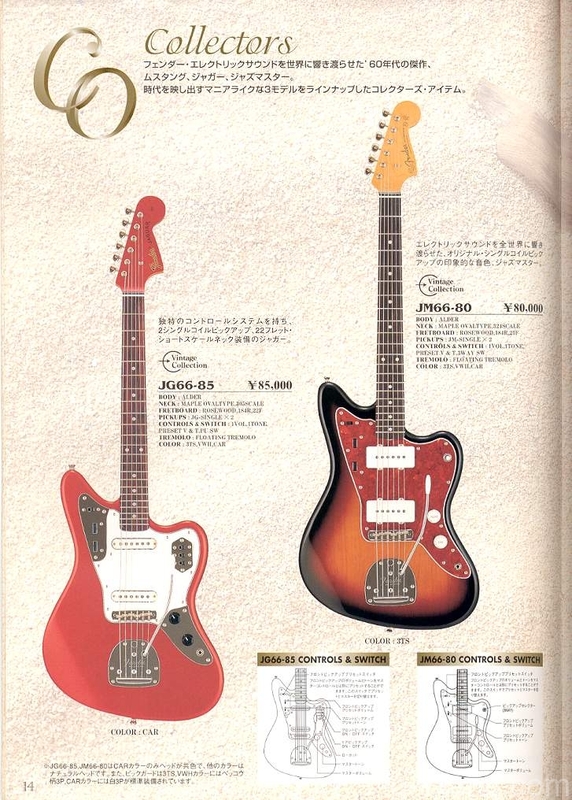 While Kurt wasn’t alive long enough for us to see him play the jag-stang very much there were some shows during the ’94 European tour where he did. 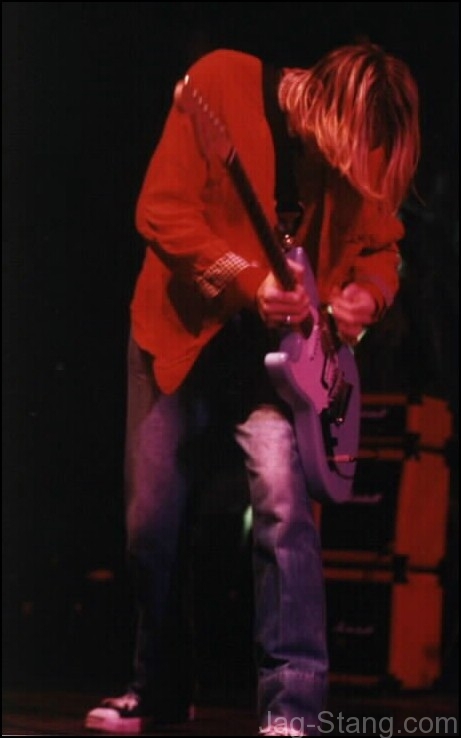 Below is one of the better quality videos of Kurt playing the jag-stang on the song Dumb from the Slovenia 2/27/94 tour date. 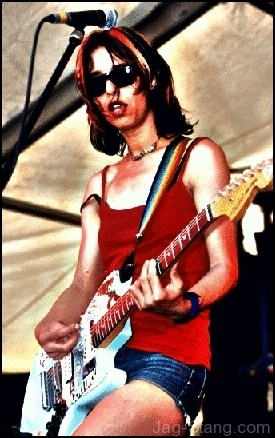 Thanks to Ryan for suggesting us post this on our blog! 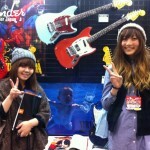 If you see other cool jag-stang videos that we should post let us know.